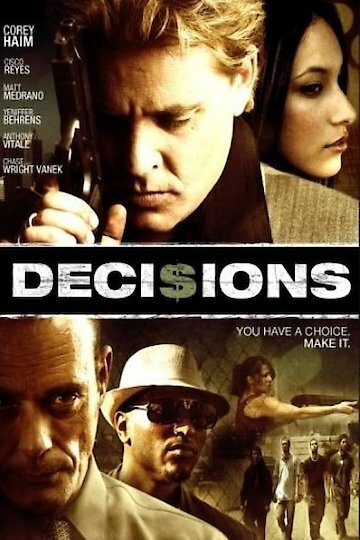 "Sometimes the voice of reason comes in a gruff, dirty package"
The movie Decisions follows a group of friends who decide to rob a bank. An LAPD detective uncovers is determined to solve the crime and will stop at nothing until he does. The friends realize that things get dangerous in a hurry and how their actions are going to affect one another. Decisions is currently available to watch and stream, download, buy on demand at Amazon Prime, Amazon online.